PD Cartridge for ready file transfer and optical disk conversion in our lab. The blue reflective layer stores the data which has been burned by a laser and in certain lights can diffract all the light colours like a rainbow. 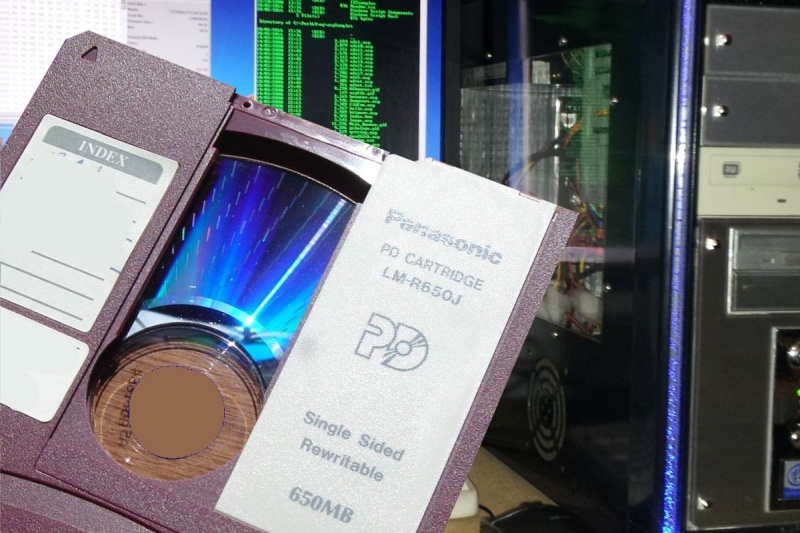 The PD disks are fairly rare but we can convert them to USB or CD or DVD. If you need a PD Cartridge for ready file transfer and optical disk conversion in our lab service, then contact our friendly company. PD Cartridge for ready file transfer and optical disk conversion in our lab. The blue reflective layer stores the data which has been burned by a laser and in certain lights can diffract all the light colours like a rainbow. The PD disks are fairly rare but we can convert them to USB or CD or DVD..